Pilgrim Church coordinates a food pantry on Tuesdays and Thursdays from 10 a.m. until noon. The Food Pantry’s guidelines are to provide enough food for three days for each visit. In 2015, Pilgrim’s Food Pantry served 8.408 people, offering a food on the table for individuals for over 25.000 days. There is alway a need for more volunteers for two hours on Tuesdays and/or Thursdays. If you would like to help feel free to contact the church office. 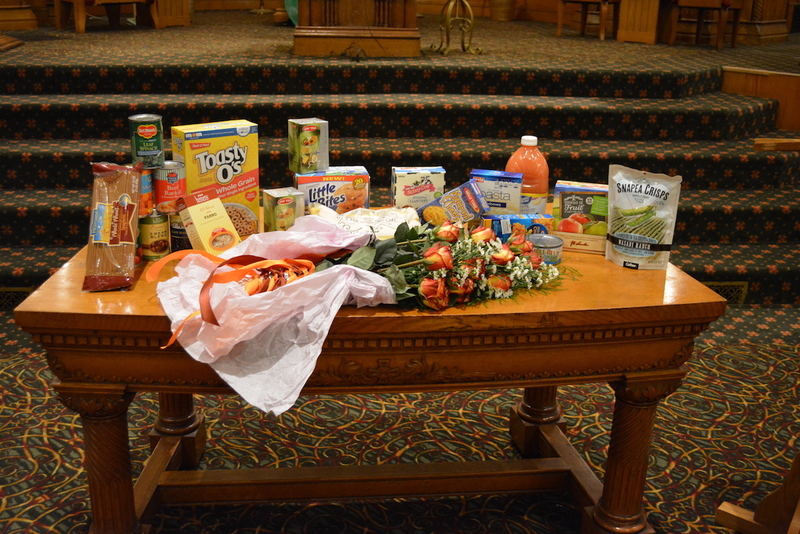 You can drop off non-perishables when you visit Pilgrim Church. If you are a merchant with discontinued or excess stock, you can contact us to receive this as a donation. Our Food Pantry serves the Tremont area, zip code 44113 east of W. 25th St., west of W. 3rd St. and south of University Rd. We also serve zip code 44109 north of Holmden Ave. and Valentine Ave.
Customers must have income that follows the guidelines of The Emergency Food Assistance Program (TEFAP). Documentation Required: Photo I.D. and proof of family size i.e. Medicaid card, children’s report cards, etc.